Bite into this piece of fruit and prepare to take shelter from the flavor. The dried cherry in combination with the milk chocolate gives off a tangy, sweet explosion. Don’t even try to defuse this one - it’s futile. From Kirk of Grand Rapids, Michigan on 1/1/2017 . I got a few when I opened them from my gift basket. By the time I went for more, they were gone! Definitely a family favorite. From Ampy of Raleigh, North Carolina on 11/17/2014 . 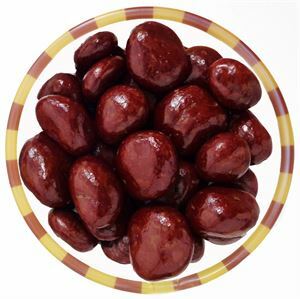 Most chocolate shops use small second quality dried cherries, but not the Droolin' Moose! 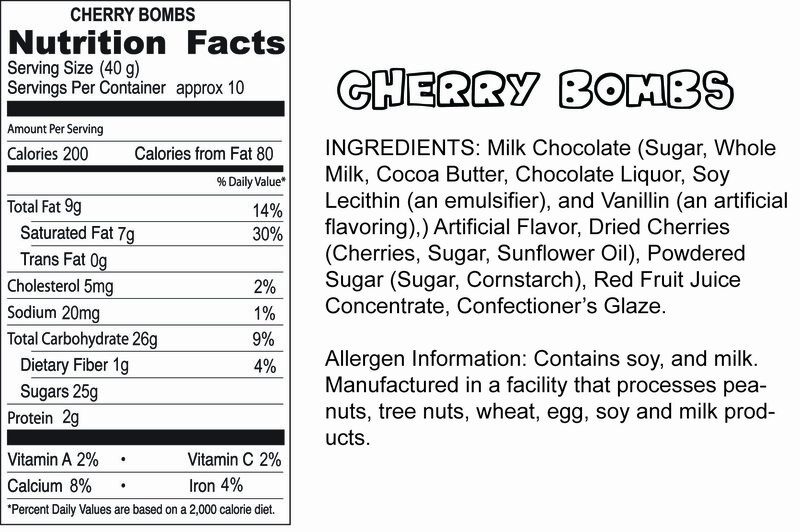 They use large chewy dried cherries in their Cherry Bombs. Coated with a thick chocolate layer with a shiny red shell, easily the best fruit/chocolate treat in the shop!